Planetary astrology Science, Considerable subjects as per planets in Astrology, The effects of Mercury in different Houses of Kundli or horoscope, The Mercury Astrology, Mercury and related things and how it affects the Life, how planets makes impact on different subjects?, Mantra or spell of Mercury, Things of Mercury to offer or daan. Mercury is a mastermind planet and a good mercury makes a person very intelligent whereas malefic mercury makes a person down in society. The person who has power of mercury can get success easily. Mercury is the master of speech. It is related with earth element. Mercury is important when it is present in lagna, 2nd house, 5th house, 9th house and 10th house. 2nd house mercury makes a person talkative. With Gemini it makes a person knowledgeable, writer, orator etc. Mercury is ascendant with Virgo zodiac sign. The combination of Sun and Mercury makes a person businessman. The combination of Mars and Mercury makes a person liar. The combination of Mercury and Jupiter makes a person spiritual and very knowledgeable, sage, mage, wise men. The combination of Mercury and Moon makes a person clown. Many type of diseases are related with Mercury like as sexual diseases, leprosy, neck and nose problems, skin diseases, dyspepsia, Mental problems, speech problems etc. Green mung beans, green cloths, parrot, brass, emerald etc. Wednesday is the day of Mercury or Budh So if any remedies or rituals are done on Wednesday to cool down the malefic Mercury or Budh then it is very beneficial. Lore, intelligence power of speaking, independent business, writing power, astrology, mathematics, publisher, lawyer, spiritual knowledge, aunt, Maami, Mausi, sister's children, fun etc are studied with budh. Use the occult sciences to get rid of problems of Mercury. If you are facing any type of problems related to Mercury then don't worry consul now and get the best remedies to protect your life from evil Mercury. 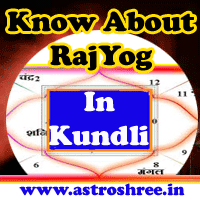 Planetary astrology Science, Considerable subjects as per planets in Astrology, The effects of Mercury in different Houses of Kundli or horoscope, The Mercury Astrology, Mercury and related things and how it affects the Life, how planets makes impact on different subjects?, Mantra or spell of Mercury, Things of Mercury to offer or daan. Astrology for Life, astrology for success, astrology for love life, astrology for career, astrology for profession, astrology for marriage life, astrology for business, astrology for Hollywood and Bollywood, Online astrology for over all success.